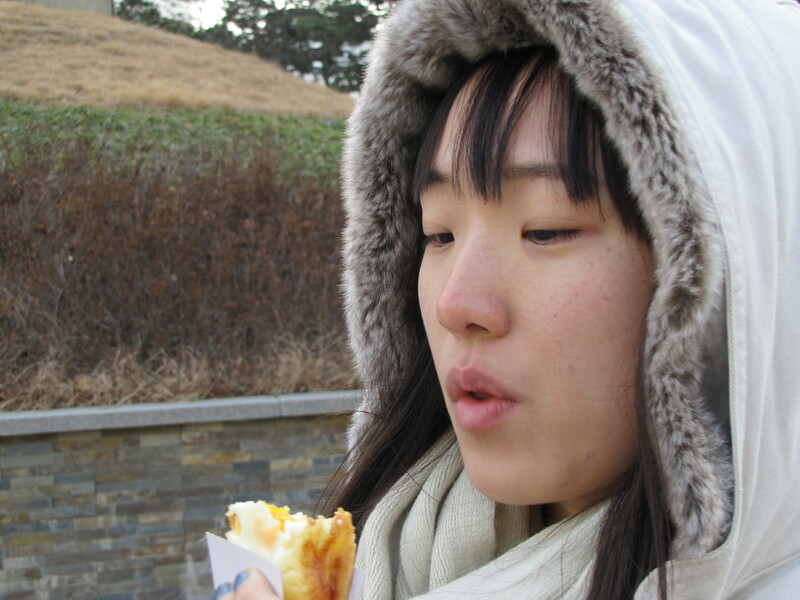 For my last day in Korea, we decided to visit Namdaemun shopping area, as well as Gyeongbokgung Palace, the grand finale of my adventure in Seoul.First, we ran into a vendor selling these steaming hot egg pastries. 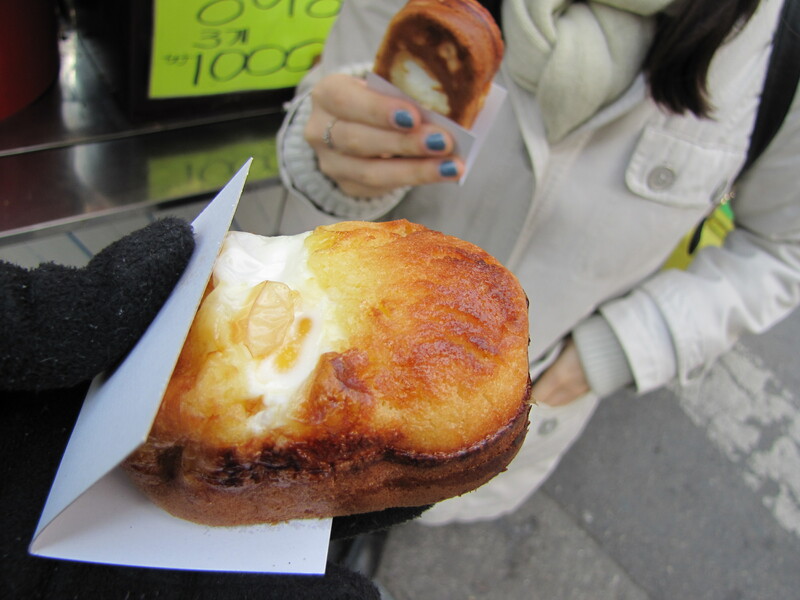 I’m not sure what they’re called, but on the outside they were some sort of delicious, buttery bread, and the inside was literally a hard boiled egg. I’ve not tried anything like them before. 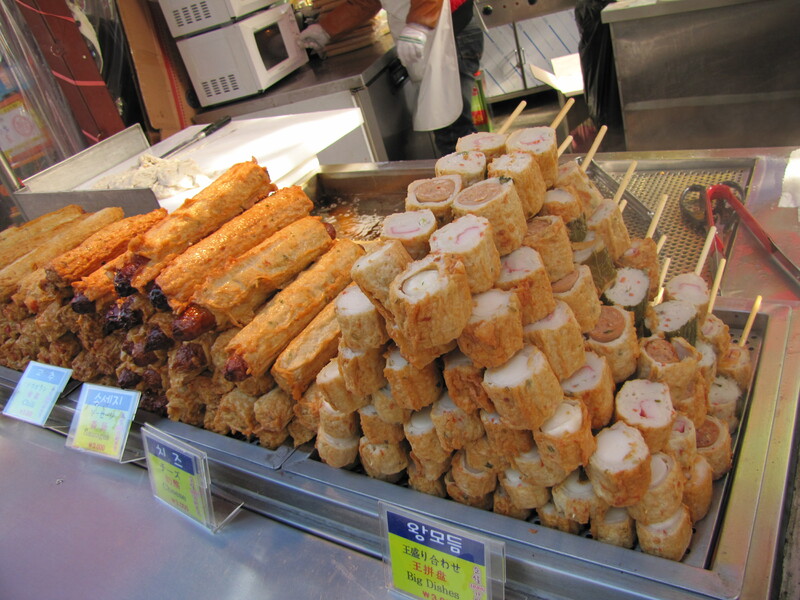 They really were hot, but on a cold winter day in Seoul, they really hit the spot! 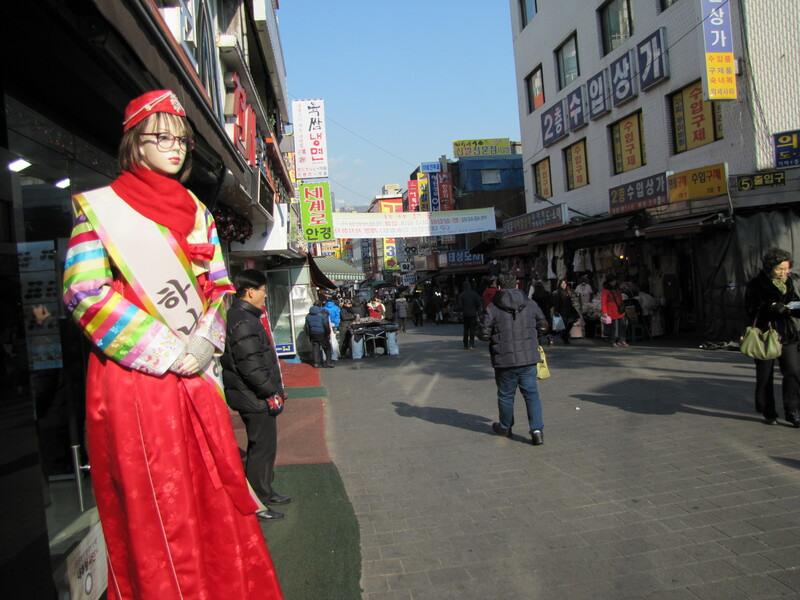 After that, we proceeded to the shopping area. I wasn’t really looking to buy anything–by that point, I was low on money anyway–but it’s always interesting to walk around and see what sort of local goods are available. 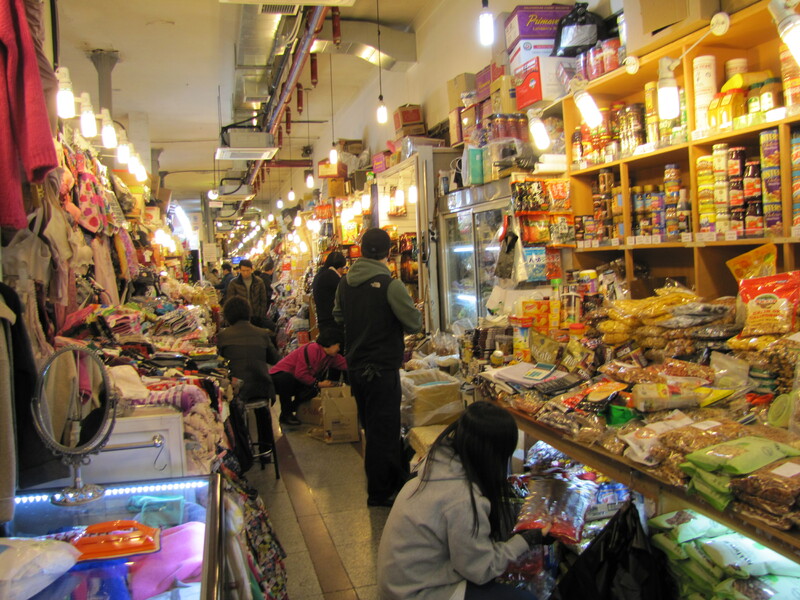 Even if you don’t intend to buy anything, I would always recommend walking around local shopping areas. They’re always so lively, often filled with average, local people, unlike visiting tourist spots, which are often nice, but very commercial and obviously set up to look good. I also tried some of these! Once again, I’m afraid I’m unable to put a name to the food, but they were basically a fried fish paste surrounding some sort of filling–sausage, cheese, fish, etc. I got the one on the right–the variety stick, haha. That way, I was able to try a bit of everything. 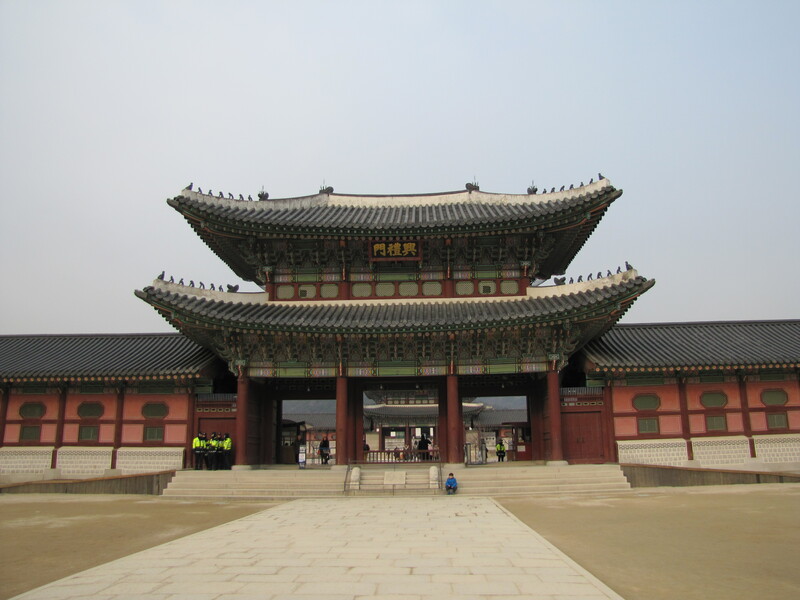 After that, we headed to Gyeongbokgung Palace. 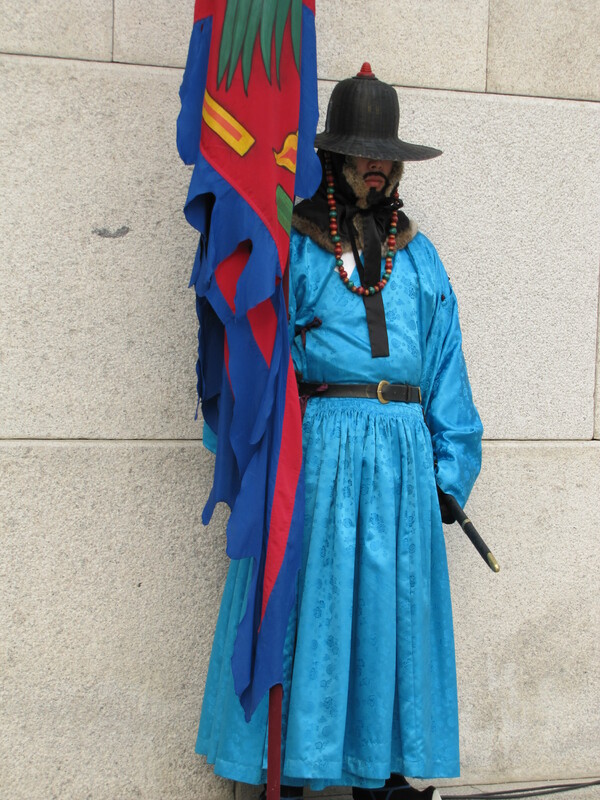 Much like the British Guard in England, the palace is “guarded” by these men in traditional uniforms. They don’t move, they don’t speak, they just guard. You can even take photos with them! Once again, we arrived just in time for a bit of a performance! 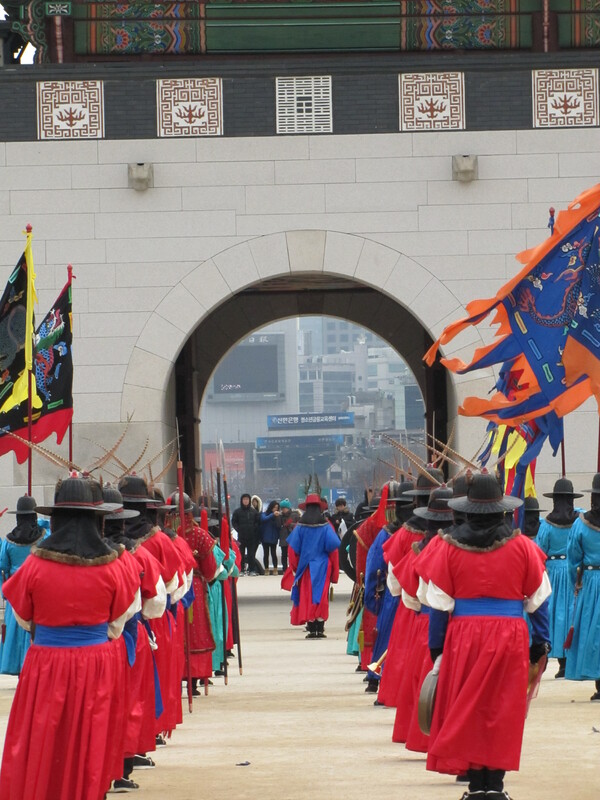 The changing of the guard, which occurs at three, is a colorful and musical display of Korean guardsmen in traditional garb. 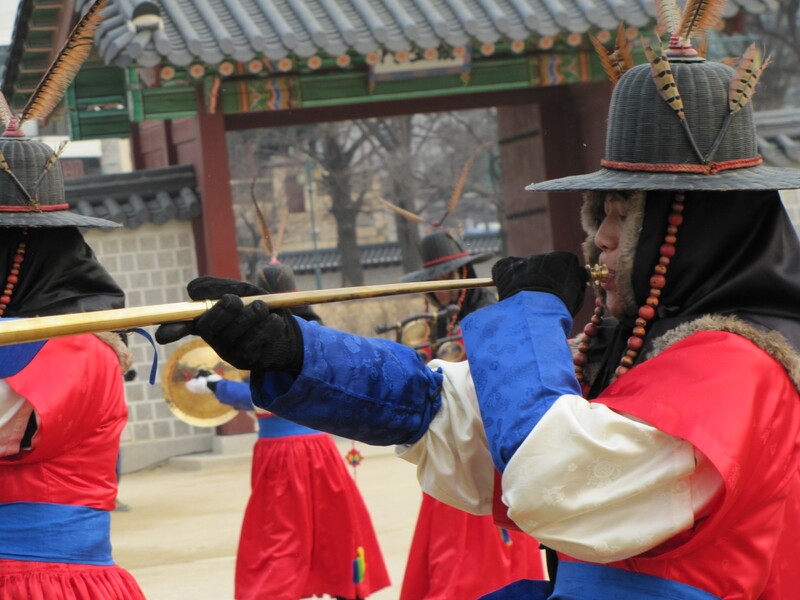 The new men to replace the current guards come out with much pomp and fanfare, accompanied by musicians and drummers and flags. It’s a great performance to see, if you are able to come at the right time! 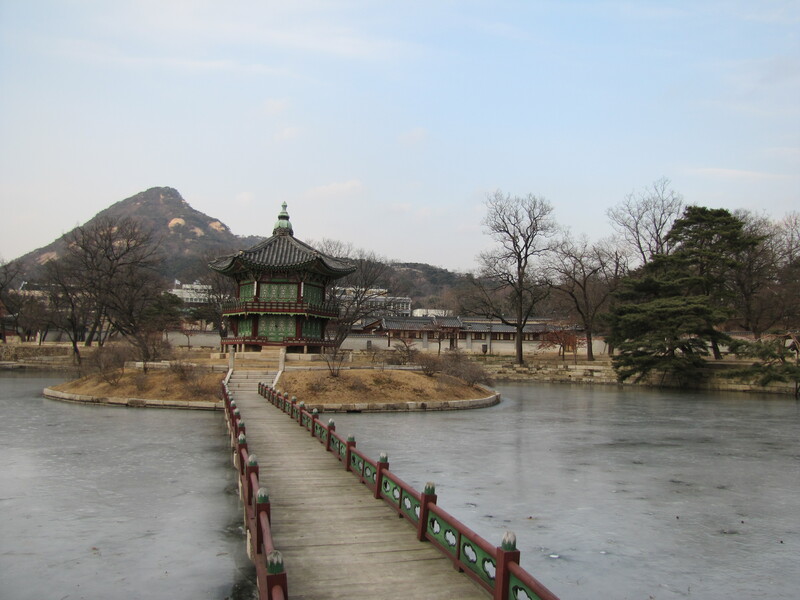 While I can’t admit to being all that fond of the cold, I am glad that the winter season meant fewer tourists–and more opportunities for us to wander around the palace, taking photos without tons of people getting in the way! The palace is beautiful. 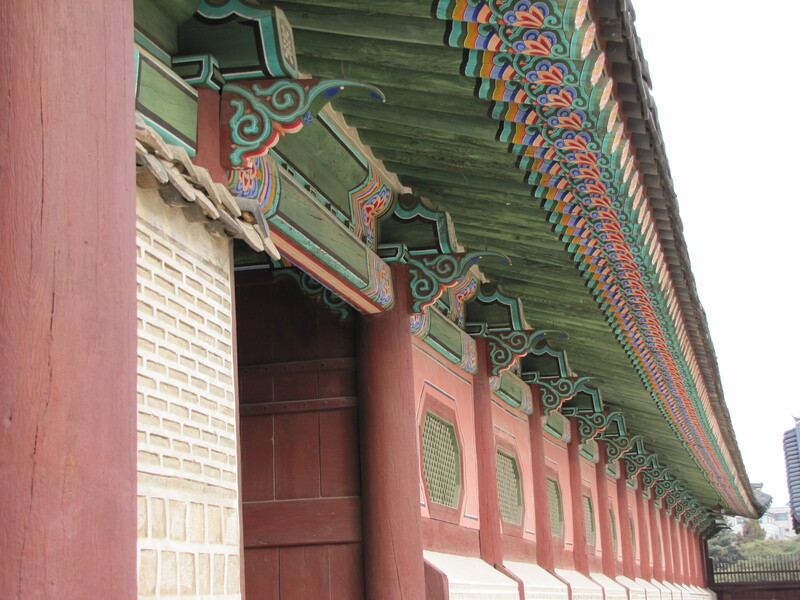 Even in winter, it is easy to see why it is such a magnificent cultural landmark. 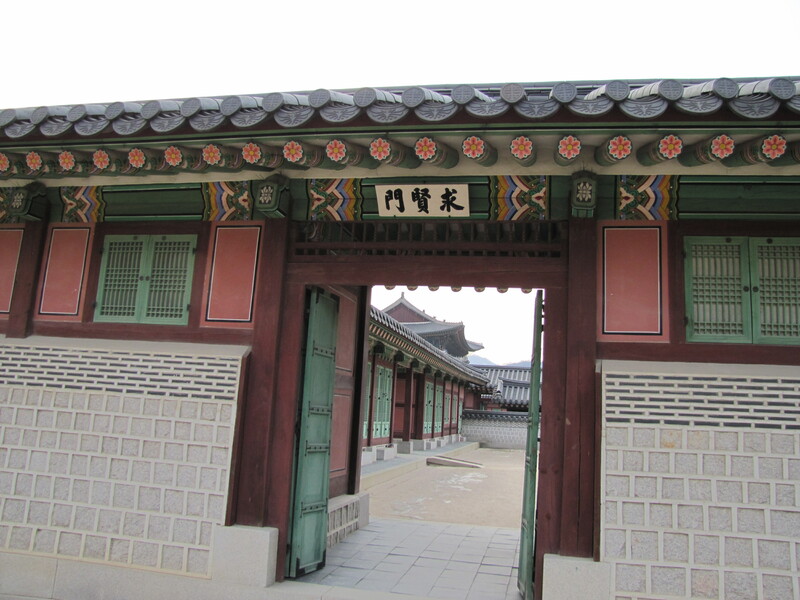 As the largest of the five grand palaces from the Joseon Dynasty (Korean State that lasted from 1392-1897), the traditional architecture and sprawling grounds could only be fit for royalty. 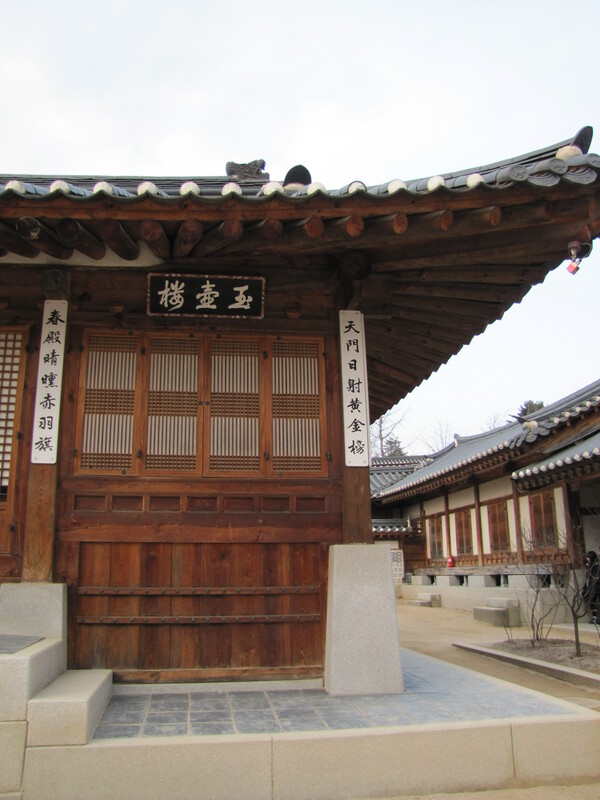 Taking a walk through here is truly like taking a step back in time. 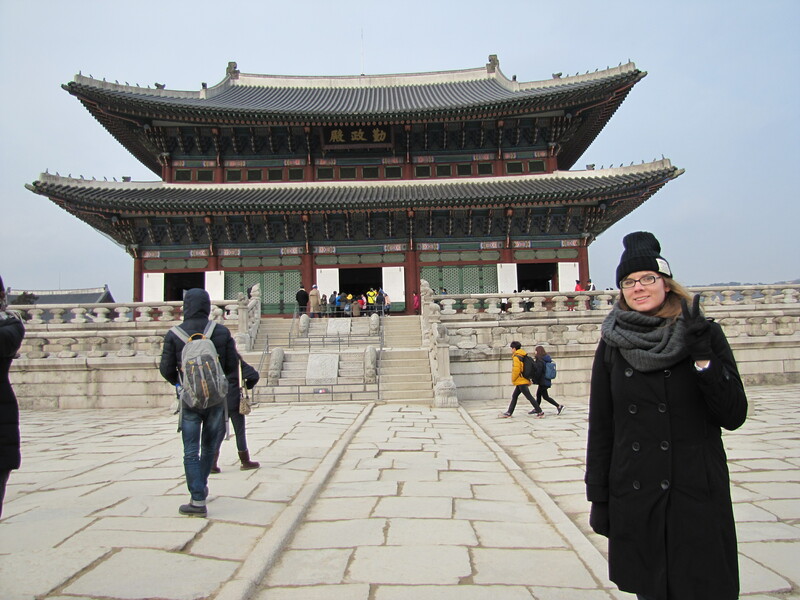 This more or less concludes my Korea trip. 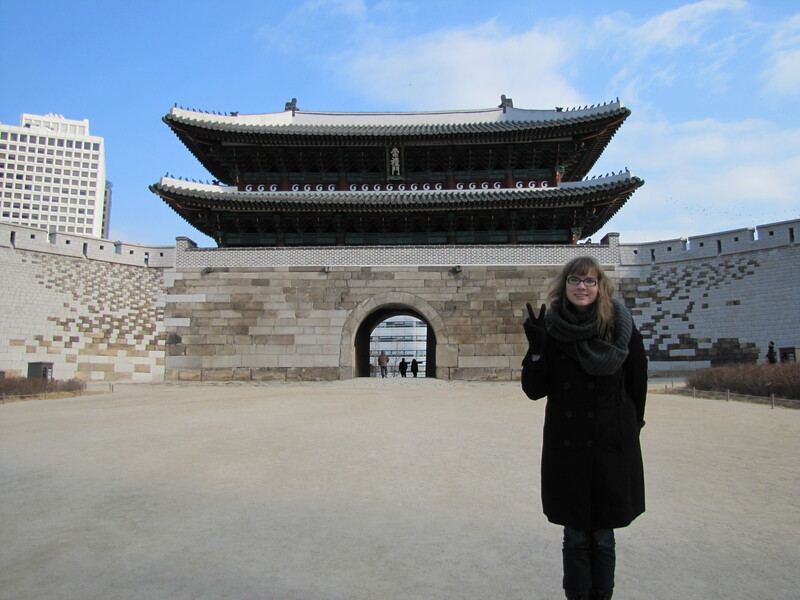 After visiting the palace, my friend and I returned to Hongdae for an early dinner and then spent the remainder of my time loitering in one of the many cafes until I had to rush off to the airport. Overall, Seoul was lovely, and being able to meet up with one of my best friends there made the whole experience all the better. 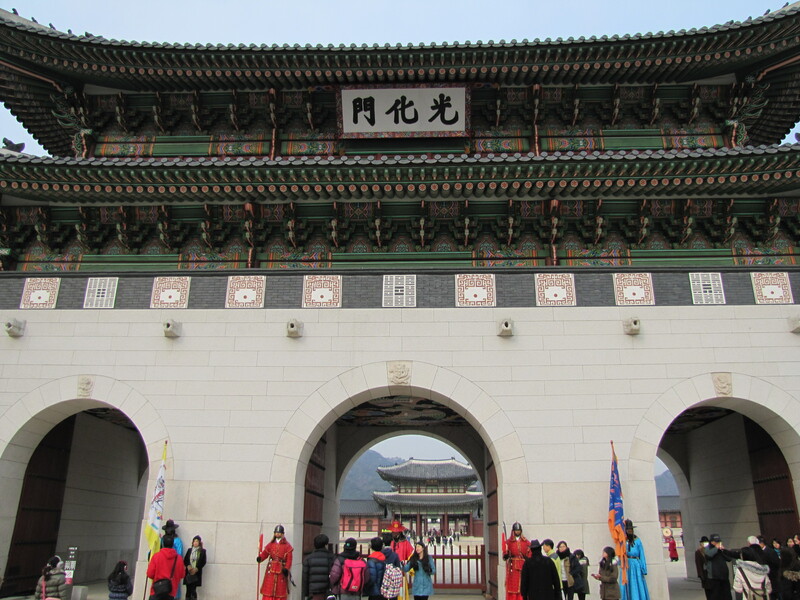 Though I know I only saw a fraction of the city, let alone the rest of the country, it was probably the best introduction to South Korea I could have received. 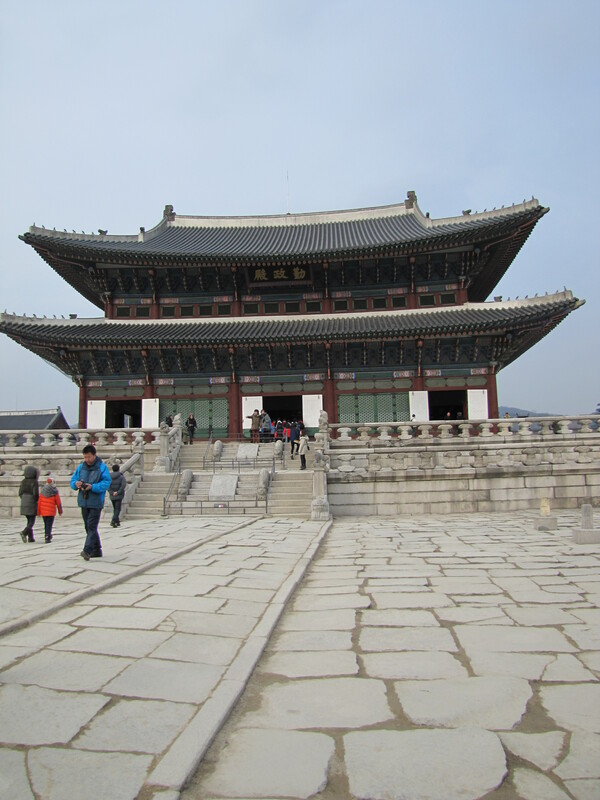 This entry was posted in Uncategorized and tagged Gyeongbokgung, Korea, Namdaemun, Seoul, Travel. Bookmark the permalink.